M. S. International Aspen Interlocking 12 in. x 12 in. 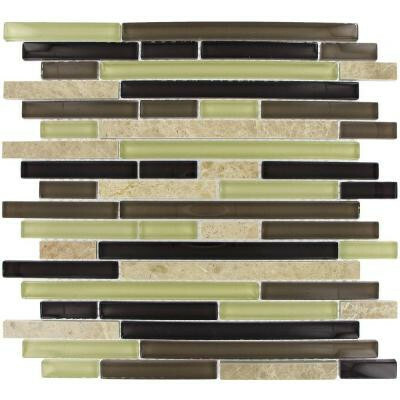 Glass-Stone Mesh-Mounted Mosaic Wall Tile. It features a crystallized glass finish with natural stone to provide a personalized unique look in your home. These tiles accentuate any installation with various design options. You can buy this product in our internet market. We will be glad if you make the right choice. 12 in. width x 12 in. length x 8mm thick mesh-mounted mosaic. 1/2 in. W x varying length brick pieces.